Trucks: motorized vehicles for transporting cargo and providing maintenance and safety. 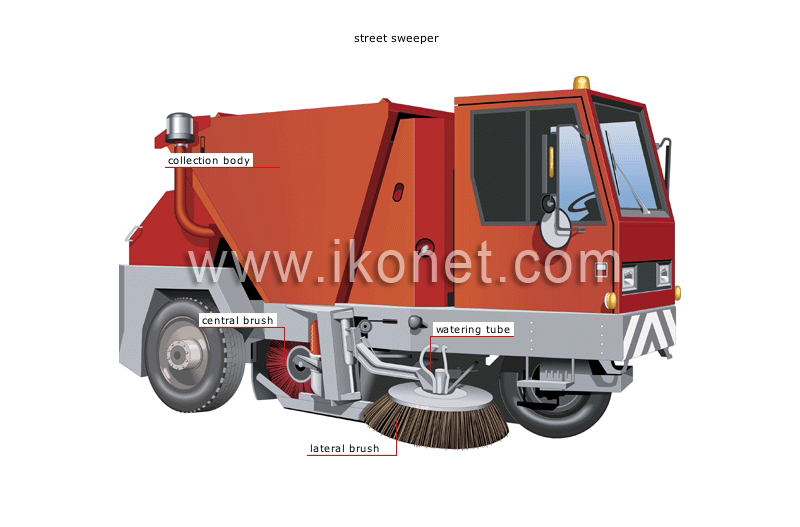 Vehicle for cleaning city streets, equipped with a collection body, rotating brushes, a vacuum cleaner and a watering device. Rotating brush that cleans the width of the roadway. Rotating brush that cleans the edge of the roadway. Pipe supplying water to the brush as it cleans the roadway. Container for the trash swept up by the central brush.